The Texas A&M-Corpus Christi Foundation, formerly the Corpus Christi State University Foundation, was organized as a nonprofit corporation in December 1987. The Foundation was originally funded in 1988 by Mr. and Mrs. Paul R. Haas and Mrs. John Allen King, followed by contributions from Mrs. Margaret R. Turnbull. With the liquidation of the University System of South Texas Foundation in 1989, additional assets were transferred to the Corpus Christi State University Foundation. In 1991, the trustees of the Corpus Christi State University Foundation agreed to combine the securities of the Foundation with those of the Warren Foundation into a single managed fund. The two foundations are separate legal entities. In 1993, when Corpus Christi State University became Texas A&M-Corpus Christi, the Foundation changed its name to Texas A&M Corpus Christi Foundation. The Foundation’s mission is to promote the growth, quality and effectiveness of the University. Its activities include the solicitation, acceptance, investment and administration of gifts and bequests and the donation of the income or principal to the University. The Foundation is also authorized to expend its funds for the enhancement of other University programs. Gifts are accepted in the form of cash, stocks/securities, real estate, charitable bequests, gift annuities, remainder trusts, remainder annuity trusts, lead trusts, insurance policies, and other planned gifts. The Foundation is responsible for the management of its endowment. The Board of Trustees comprises between five and 25 persons, which includes the President of the University, who serves without vote. Trustees other than the President of the University hold terms of office for one year and until their successors are selected. An annual meeting is held in September. Officers of the Foundation consist of a president, vice president, secretary, and treasurer, along with other officers if the trustees so choose. The Board of Trustees, officers and Executive Committees of both the Texas A&M-Corpus Christi Foundation and the Warren Foundation are identical. When the Trustees meet, they are meeting as Trustees for both foundations. As decisions are made, minutes kept at the meetings show the capacity in which the trustees are acting and the specific foundation involved. Texas A&M-Corpus Christi Foundation exists for the exclusive benefit of Texas A&M University-Corpus Christi. 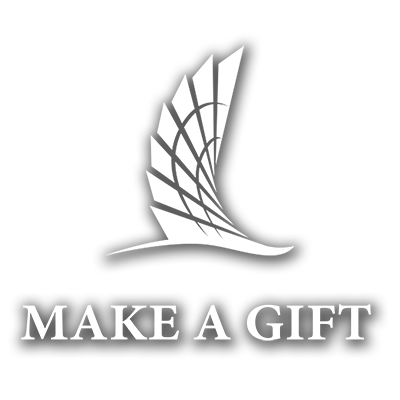 Seventy-five percent of the Warren Foundation’s distributions are for the benefit of A&M-Corpus Christi, with 25 percent benefiting other charitable organizations. Each foundation owns appropriate interest in the pooled investment fund and each receives its share of the income produced. Charitable remainder trusts held for the benefit of the Texas A&M-Corpus Christi Foundation include: The Mary and Jeff Bell Charitable Remainder Trust, administered by Regions Morgan Keegan; the Merriman 1993 Charitable Remainder Trust and the Bell Charitable Gift Annuity are both administered by the Texas A&M Foundation. The Campbell Charitable Remainder Unitrust is administered by a private trustee. Charles Schwab Inc. is custodian and agent for the Foundation’s securities. Angeles Investment Advisors in Santa Monica, California, is the Foundation’s investment consultant. A principal from this firm meets at least quarterly with Foundation Trustees. The consultant helps Trustees monitor investment and spending policy, asset allocation and manager performance. The initial principal of each endowment gift is not spent, except as may be provided for in the donor’s gift instrument. After a small allocation to promote Foundation growth and development, the investment earnings are reinvested.